Film Plot: In mediaeval Japan a compassionate governor is sent into exile. His wife and children try to join him, but are separated, and the children grow up amid suffering and oppression. Grade: C8	Very Fine. Folded, single-sided. 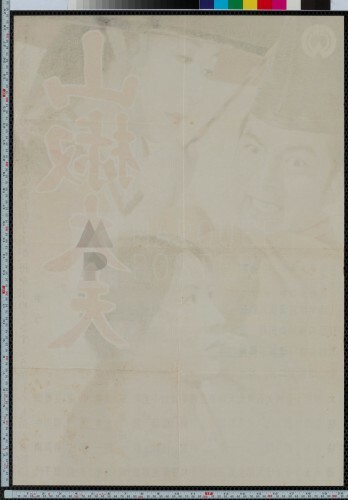 Very minimal handling wear with only a few light tanning spots on the verso that barely bleed through to the image. Amazing original condition with bright, bold colors. 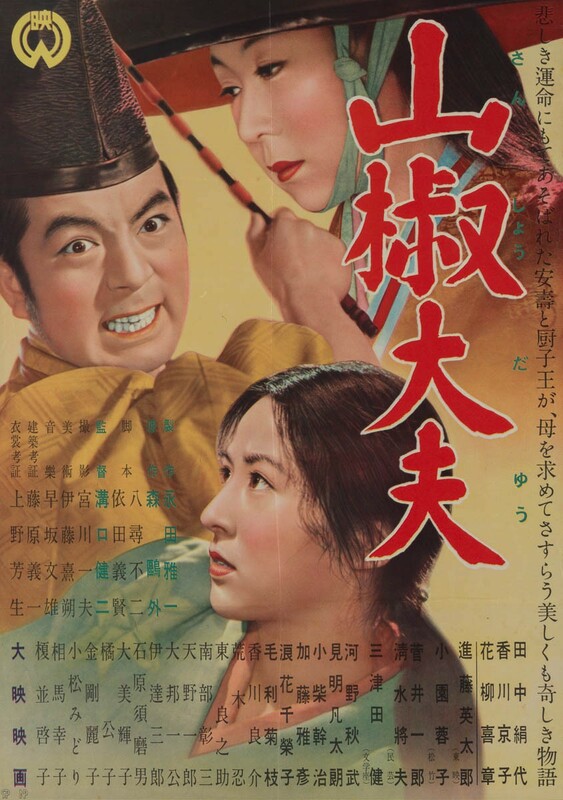 Along with Ugetsu and the Life of Oharu, Sansho the Bailiff is one of Kenji Mizoguchi’s most acclaimed films. 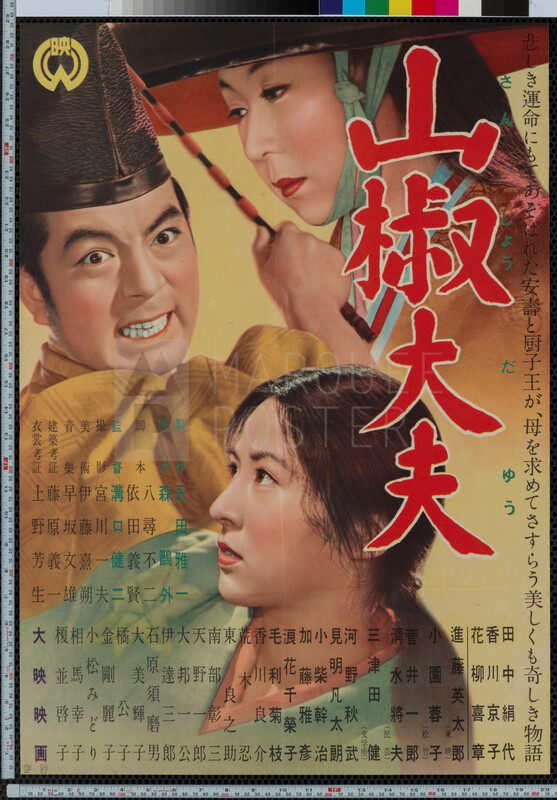 Sansho Dayu, as the film is also known, is a tale of love, loss, sacrifice, injustice and tragedy set in 12th century Feudal Japan. Famed reviewer for the New Yorker, Anthony Lane, was so taken with the film that years later he wrote “I have seen Sansho only once, a decade ago, emerging from the cinema a broken man but calm in my conviction that I had never seen anything better; I have not dared watch it again, reluctant to ruin the spell, but also because the human heart was not designed to weather such an ordeal.” This extremely rare original release Japanese B2 poster features vivid colors and an intense Eitarō Shindō, who plays the brutal and eponymous Sanshō.